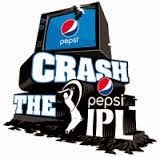 The Crash Pepsi IPL is hot in the air. Every one are fixed to their television to know every single update of cricket and encouraging their favorite team. As we all know The Pepsi IPL has come up with exciting challenge where you will find professional and non professionals are producing the ads. This ad activity has come up with some amazing creativity works. While watching the ads, I found some ads have shown innovative ideas in their finishing. As we know the best ads will have the more unique ideas with amazing appearance. Some of the ads have shown freshness in their finishing. As per the jury the finalists has already been selected. But the most-much loved celebrity is yet to be selected as the winner. I have watched most of their ads. Among those all the ads, here are two ads which I think can win the hearts of the people by their creativity talents. The "Served" video ad is my first selection out of all the finalists. In this video, the combination of all the mixture like food, cricket and Pepsi has been shown perfectly. The concept is innovative and the presentation is very simple. The thought of decorating the dinning table with varieties of delicious Indian food starting from Vada pav of Mumbai, Idly - chutney of Chennai, Bisibelebath of Karnataka, Rasgulla of west Bengal, Dal bati churma of Rajasthan, Aloo paratha of Delhi and last but not the least Yummy Biryani of Hyderabad.. The timing of commentary on the food relating to that of cricket has come up perfectly and I sure this ads deserves to win. My second selection is the “Rajma-Upma” video. This video has grabbed the concept of 2 states movie. I found this ad very interesting. In this video we will see the conflict of North people and south people is shown with food but happily win each others heart with a bottle of Pepsi. The comparison of north India and south India has completely vanished and reunion of both the parts of our country has been shown. Since #CrashThePepsi is all about the one word cricket. I would like to choose the ad that portrays to cricket only. So my vote goes to my first selection video that is “Served” video ad as the true winner among all the other ones.